The Kids' Extravaganza is a kaleidoscope of kid-friendly fun. Limited to attendees 14 years of age and younger, this portion of the Costume Celebration is intended to promote the imagination of our younger attendees and give them a platform for positivity and costuming creativity. Regardless of whether they are showing off hand-made costumes, wearing a treasured store-bought Halloween costume, or sporting the latest cosplay craze, participants will be celebrated for just being themselves. 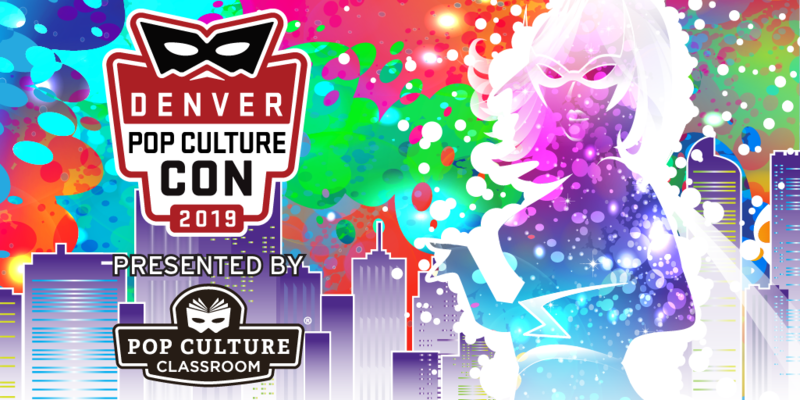 Registration will be open from April 1, 2019 through May 1, 2019 OR until all 25 pre-con registrations slots are filled -- additional registration opportunities will be available onsite at Denver Pop Culture Con. Costume & Prop Information: Participants may be required to navigate stairs during the check-in/staging/queuing process; if you have ADA requests OR the participant's costume prohibits movement and isn’t able to traverse stairs and standard walkways/doorways, please alert DPCC (cosplay@popcultureclassroom.org) by Friday, May 17 for special arrangements -- DPCC will not be able to accommodate special requests through onsite registration. Do you have any ADA requests? Does the participant's costume allow them to move up and down stairs and sit for a minimum of one hour? I have read the Costume Celebration Guidelines and agree to abide by the rules and policy therein.